Stormwater that does not soak into the ground becomes surface runoff, which either flows directly into surface waterways or is channeled into storm sewers, which eventually discharge to surface waters. Impervious surfaces (airports, industrial area’s, roads, parking lots and sidewalks) are constructed during land development. During rain storms and other precipitation events, these surfaces (built from materials such as asphalt and concrete), along with rooftops, carry polluted stormwater to storm drains. Water running off these impervious surfaces tends to pick up gasoline, motor oil, heavy metals, trash and other pollutants from roadways, parking lots and other surfaces. Effective control of urban runoff involves reducing pollutant discharges. 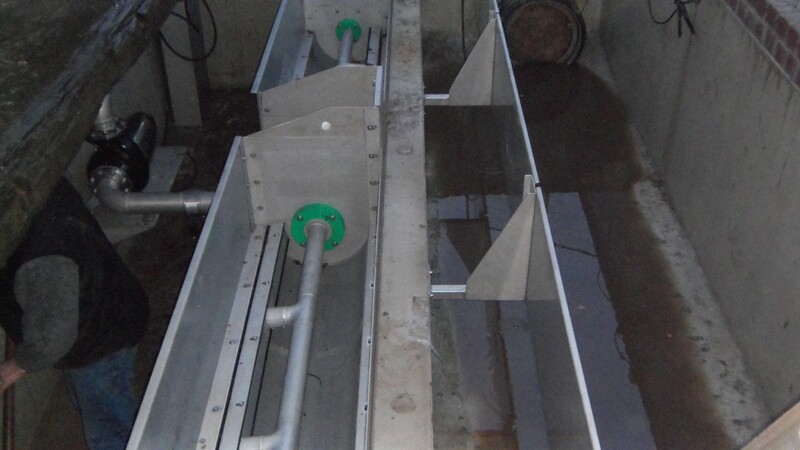 KD International Oily Water Run-off Separators are widely used to reduce the effects of urban runoff. The separator is designed to treat Free non emulsified oil and solids separation by use of our unique Coalescing Plate Technology. 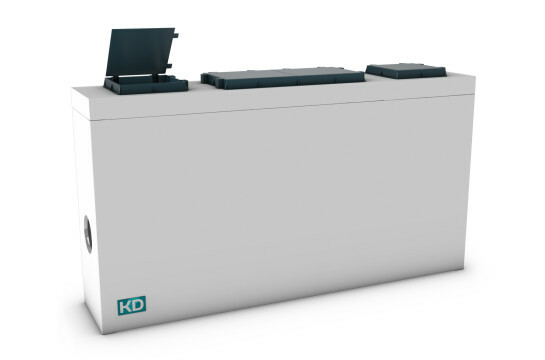 The KD International – CSO Screen Series OS520 ensures high Performance Screening at Overflows Weirs. The OS520 Screen is a simple and robust CSO Screen. 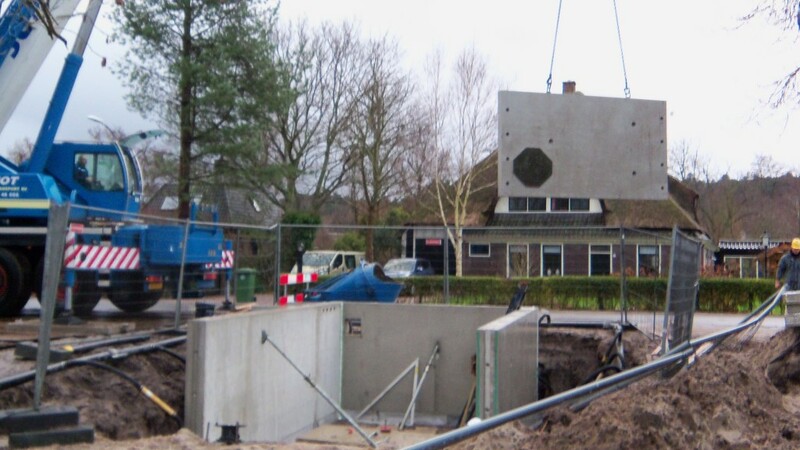 It is designed to prevent the discharge of Floating, suspended, non biodegradable, and solid material. The Screenings and solids are retained within the flow for later removal at the inlet works of the wastewater Treatment plant. 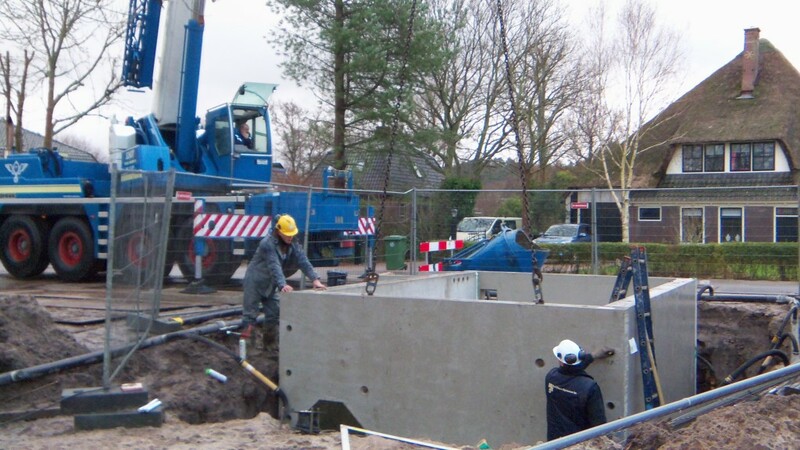 The Screen is manufactured from perforated stainless steel plates, which is the most effective solide Retention Screen. It is kept clean by using a pump that evacuates by suction force the accumulated debris from the Screen. 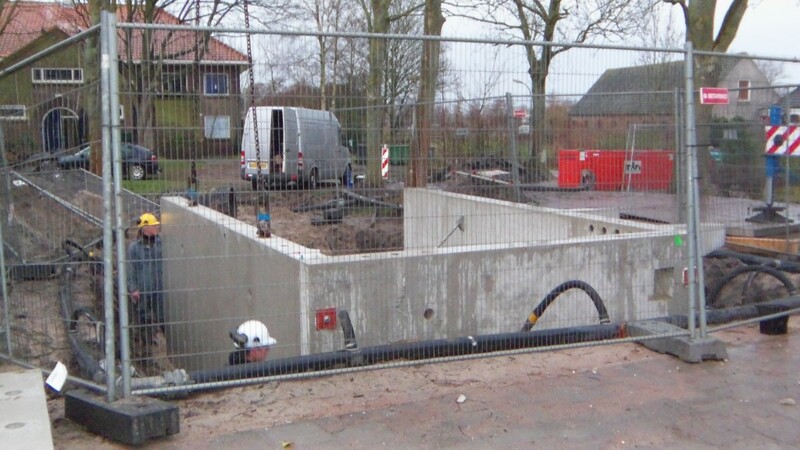 The Screening debris ist pumped away and forwarded towards the waste water treatment plant. 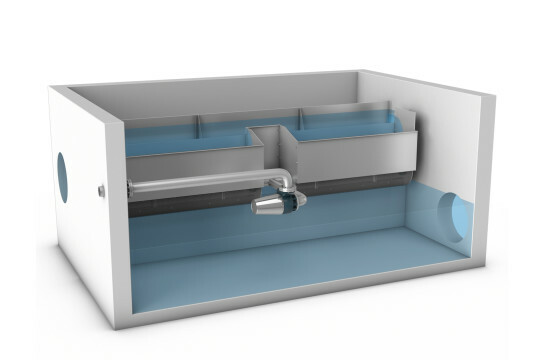 Coarse solids can be discharged into the pre-clarifier in the form of suspended or floating matter during the relief process. In order to prevent this, relief structures were equipped with baffles which were given the task of retaining floating matter (e.g. oils and greases) and solid matter (e.g. sanitary products such as toilet paper, sanitary towels, etc.). 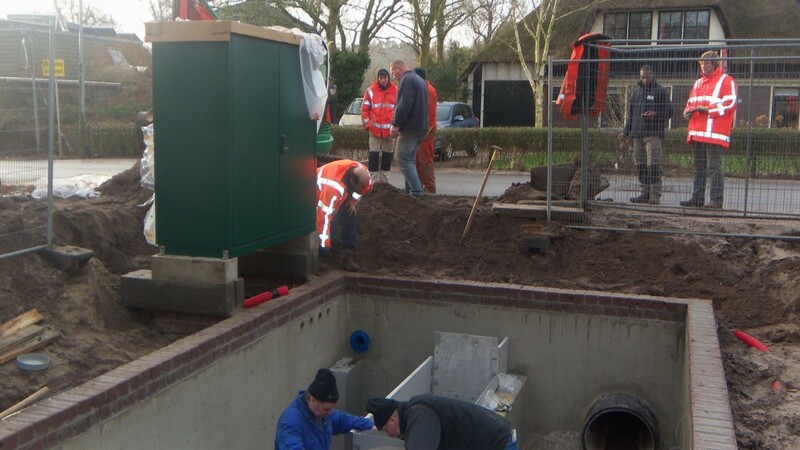 The modern, environmentally friendly operation of a sewer system should aim at retaining these residues according to the current state of the art in as far as possible. The KD lamella baffle, Series OS510 is used for the targeted retention of floating matter in combined sewerage systems/ storm water systems without external energy. 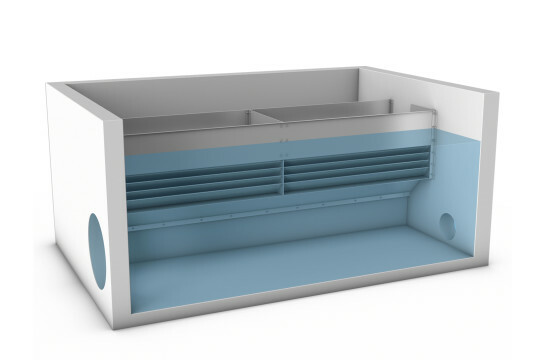 A lamella-like arrangement of baffle plates prevents the discharge of solid matter over the threshold into the pre-clarifier. A hydraulically specified arrangement and inclination of lamellas shaped specifically for this purpose ensures that floating matter described herein above is retained efficiently.